Orbax (orbifloxacin) is an antibiotic of the quinolone class. It is approved for use in the treatment of susceptible bacterial infections. 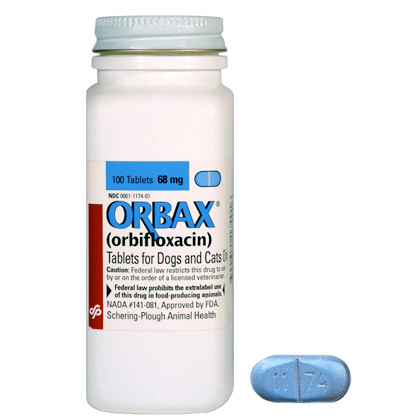 Orbax (orbifloxacin) is a broad spectrum antibiotic used in cats and dogs to treat infections caused by susceptible bacteria.